i rock paper and scissors: 3 Birds Studio - a Card to Share! I like that all the elements are circular and then the sentiment is in an oval! Really makes it stand out. Super cute card!!! Simple elements with a little glam bling...perfect! 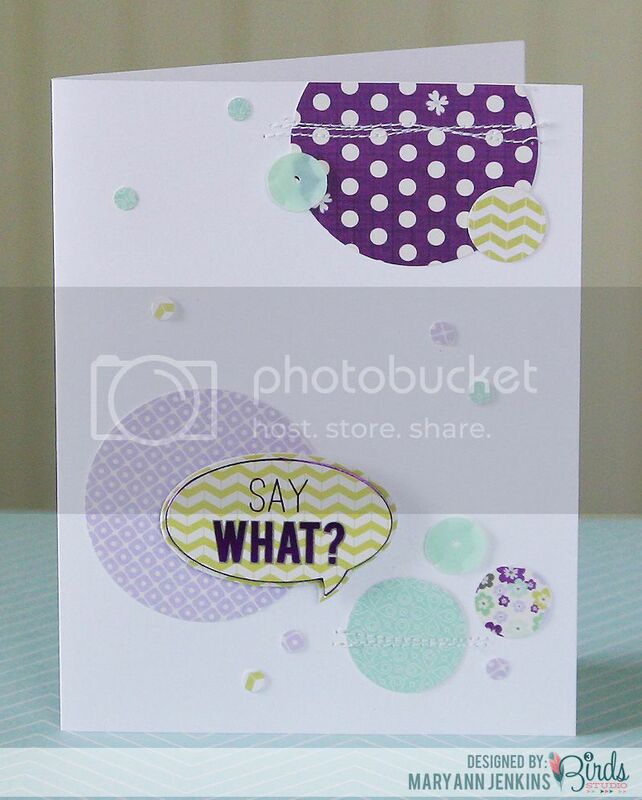 Love the circles paired with the speech bubble, Mary Ann! So cute!